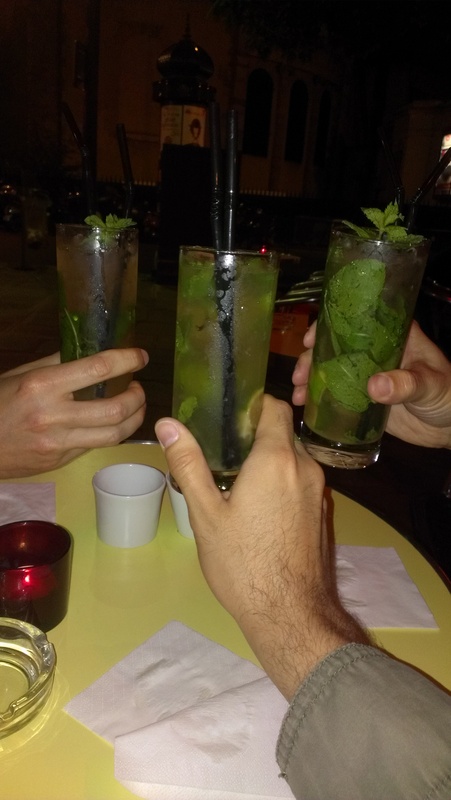 We all chose mojitos – good decision! I can’t believe this is already our last full day in Paris! That means we’ll have to get packed up tonight after our day out, but it’s all good because we’re flying to Madrid tomorrow – really excited for that! You met up with people from Minnesota in Paris? Was that planned, or just a happy coincidence? Planned! We knew he was going to be here for work, so we had talked about meeting up before we even got here. Glad it worked out!